Horseshoe Irrigation is a small rural irrigation company in central Utah, managing approximately 15,000 water shares for 640 shareholders. Operating with a minimal staff and budget, it is important that Horseshoe be able to leverage technology in monitoring and managing water resources. For data-collection endpoints, Horseshoe Irrigation chose Campbell Scientific, a provider of rock‐solid dataloggers and collection technologies. In a typical Campbell Scientific network, data-collection efforts are centralized around a collection server, which runs the robust and feature-rich LoggerNet software. This LoggerNet server collects data from all data-collection stations and makes it available for processing and display by the ExacTraq system. 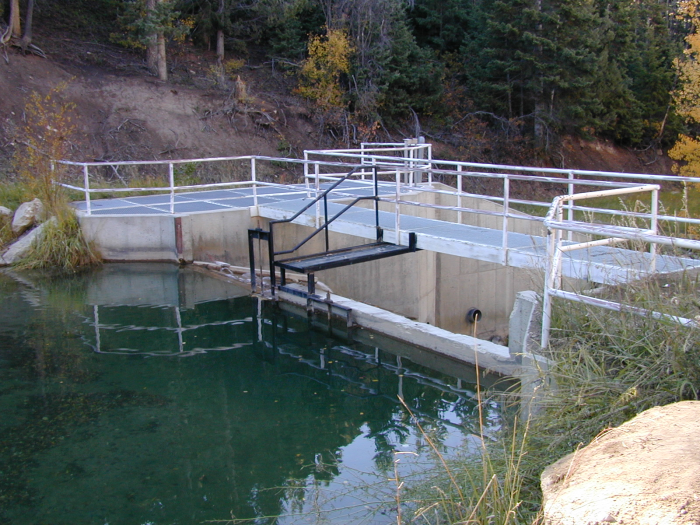 Like other Utah water districts, Horseshoe Irrigation uses a web-based application called ExacTraq for monitoring and managing information. ExacTraq communicates with various SCADA and data-collection systems, making real-time data available online and via voice, text, and other communication methods. Horseshoe Irrigation lacked finances, human resources, and infrastructure needed to configure, host, and operate their own LoggerNet server. Responding to these needs, the Rural Water Technology Alliance (RWTA) researched and implemented Campbell Scientific’s LoggerNet for Linux software. LoggerNet for Linux provides all the basic functionality of the Windows‐based LoggerNet software, but decouples the server engine from the administrative interface. The core server runs on a Linux platform (very popular for today’s web‐based services like ExacTraq), but can be managed remotely using a Windows‐based application called LoggerNet Remote. Because LoggerNet for Linux can reside on the same Linux server as ExacTraq, communication between these two systems is faster and significantly more robust than the traditional configuration, where hardware, network, or power issues can take a Windows server offline. Horseshoe Irrigation maintains complete control over the configuration of their network via LoggerNet Remote, but does not have the overhead or responsibility of purchasing and managing a data-collection server. Consequently, they can dedicate more resources where they are really needed—implementing and maintaining data-collection endpoints.